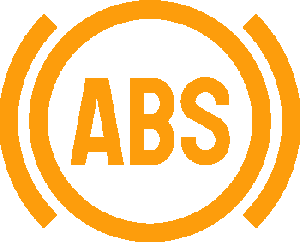 The anti-lock braking system or ABS is an advanced safety feature found in almost all vehicles nowadays. The ABS system consists of the ABS module and the ABS sensors found on each tire. The whole system works in tandem to ensure your car does not skid or go out of control in heavy braking situations. ABS control unit is the main processing module of the entire Anti-lock braking system or ABS system of your vehicle. All the modern vehicle designs have a preinstalled anti-lock braking system. The main components of the ABS system are the controlling module, the valves and the sensors. The control unit essentially receives all the information, records and makes it usable for the vehicle’s engine system as well as to ensure the safety of brakes application without causing the vehicle to skid. What is an ABS Control Unit? The anti-lock braking (ABS) control unit is an electronic module that works like a computer. The information generated by the installed sensors of the ABS system, such as the wheel speed sensors, is received by the ABS control unit. The control unit then utilizes this data, processes it and generates the electronic signals to ensure that the vehicle’s ABS system effective prevent the vehicle from losing the traction and remain stable on the roads. It can be considered as the processor and the brain of the entire Anti-locking brake system. Depending on the speed of the vehicle it also generates commands on how much pressure should be applied to the wheels of the vehicle when the driver pushes the pedal of the brake. The control unit is attached directly to the brake lines to effectively carry out its application. The core function of the ABS control unit is to prevent the locking of one of the wheels during the drive. This is achieved by suddenly applying and disapplying the brakes in a quick sequence. The time between each application, the frequency of brake application and the number is regulated by the control unit precisely to make sure that the alternating brakes are applied as long as the vehicle is in danger. The data that it utilizes from the sensor includes the way the rotation of the tires takes place, any event of slippage between the wheels of the vehicle, and any difference that the sensor detects. The ABS Control Module is a lifesaving component in a car. But just like every other component it has a life after which it can show signs of deterioration. If the module fails you will become prone to accidents while hydroplaning and skidding will become more common when you brake hard. Fortunately, a failure in the ABS Module can be spotted easily. In some cars, braking is directly linked with the ABS Control Module. This means the entire braking function is activated after going through the ABS module. If this is so and the module fails, your entire braking system can become unresponsive. Either you won’t be able to activate the brakes at all or the brakes will not react fast enough for you to brake at a safe distance. This is a life-threatening issue, so it is better you get it looked after by a mechanic as soon as possible. When the ABS module malfunctions, it sends over incorrect information to the braking system. This causes the brake calipers to act out of their character and you require more force to apply the brake. Not only that but your vehicle will take much longer to stop, while there is always a possibility it does not stop at all. If you feel this effect over time, you should schedule an appointment with a certified mechanic. The ABS has its own warning light that is triggered once there is an issue with the brakes. The ABS Control Module is monitored by the car’s onboard computer so if and when a malfunction occurs the ABS Light comes on in your dash. This ABS light can depict an issue with the ABS sensors or the ABS Control Module, so it is better to go to a mechanic to know of the exact issue. A high-end error code scanner can usually tell you where the problem lies. An ABS Control Module malfunction can sometimes cause the exact same thing to happen that the system is trying its best to avoid, which is the locking up of brakes. When you can feel your car’s brakes are locking up randomly or if they are completely locked up and not allowing your car to move at all, you might have a Control Module problem. Where is the ABS Control Unit Located? Typically, in most modern vehicles the common design requires the ABS control unit module to be installed and mounted within the engine compartment. It can also be present in the frame rail of the left side of the vehicle or typically the driver’s side. In case the control unit module is installed in the frame rail of the driver’s side, the replacement procedure may be different from the case in which it is installed in the engine compartment. You may need to lift the vehicle with the help of the hydraulic jack or jack stand in order to reach the module when you are trying to replace it. The ABS Control Module can also deteriorate due to the buildup of dust and debris. It is an electrical and mechanical component so it is necessary that you clean it regularly to ensure its proper function. The process to clean requires patience. First, you need to locate the sensor, which we have already told you where to find. Once you find the control module, inspect it for signs of wear and tear. It is possible the control module is covered with dust and damaged by debris. Proceed by using the blower at a low setting. You don’t want the dust to contaminate any other component. Try to cover all the area equally. Once you are done, you will have cleaned all the fresh dust which had deposited on top of the control module. Now it is time to use the cloth to clean all the dirt that has stuck to the module. The dirt that is left can be cleaned with alcohol. Rub the cloth with some alcohol and clean the surface of the module, while making sure no liquid touches an electrical component. Lastly, let the module dry. The diagnosis is important for the ABS control unit as the same problem can be caused due to other faulty parts. Various parts are associated with the ABS control unit, therefore, the diagnostic procedure also involves testing for other systems as well since it could be due to some other problem that you are experiencing the symptoms. The problem may start with a glowing light on the dashboard of your vehicle. However, it is not sufficient for being sure that the problem is due to the ABS control unit, and it can be due to other ABS system parts as well as other systems associated with the ABS system. To diagnose what exactly the problem is and if the control unit is bad, the best device that proves to be effective here is the OBDII scanner. The errors codes that are generated can be a very good way to know more about the origin of the problem. The OBDII scanner will be able to effectively read the OBDII system errors codes. With the help of an owner’s manual or the service manual provided by the manufacturer, you can refer to it for comparing the readings and error codes with the ones that are specified in the manual to know more about the problem. The error codes can help you see if the problem is with the ABS control unit. If that is the case, it is usually recommended to get the control unit module replaced. 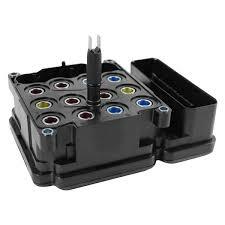 Some vehicles would require an ABS control unit that also has an inbuilt feature of controlling the traction system of your vehicle, so you need to see what exactly you want to buy. Usually, it is recommended to refresh the brake fluid by replacing it after you have installed a new ABS Control Unit. A bad or failed ABS control unit can affect a number of other systems of your vehicle as well, such as the traction control system, the electronic stability controlling system, and the tire pressure monitoring system since all these systems are linked with each other and interconnected. Replacing the control unit is generally a preferable option if there are no physical defects. Here we are sharing with you an easy to follow step by step guide on how you can go about replacing the control unit of your ABS system. Make sure that you keep a service manual or owner’s guide with you provided by your company. Acquire all the tools you would need for the replacement along with the parts, i.e. socket sets, protective wears and screwdrivers. Make sure that your vehicle is parked on a levelled surface. Locate the ABS control module of your vehicle by referring to the service manual. Remove all the connectors and electrical wires from the control unit module. Remove the screws and any ties that mounts the module. Clean the mounting surface properly. Install the new module carefully. Connect the wires and other electrical connections to the module. Reconnect the battery to turn on the connection. Start your vehicle and see if the warning light for ABS is gone after a while. You may need to clear the error codes in some vehicles. The average replacement cost of the ABS control unit is estimated between $900 and $1100. The part itself cost between $850 and $900, while the remaining cost is the labour cost. The cost for replacing the ABS control unit can be comparatively quite higher than the other parts since it is the computer of the entire ABS system. The cost for this module can be different for different companies and vehicle types. In case you need to replace other parts associated with the control unit, the price will consequently go up. On average for most vehicles only the control unit of your anti-locking brake system will cost you anywhere between $850 to as much as $900. The cost for this module in luxury cars can go high, but you will find this for most vehicles within this range. If you are hiring a mechanic or taking your vehicle to a car repair shop, it will involve an additional labor cost which could be as little as $45 and as high as $200 in most cases. Therefore, the total cost for the replacement along with the labor cost can range from $895 to $1100.